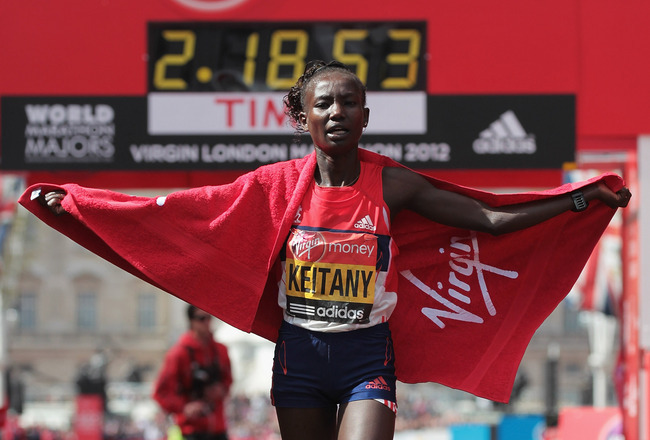 Mary Keitany winning the 2012 Virgin London Marathon,becoming the third fastest of all-time. As I sit on the roller coaster-like bus journey from Eldoret to Nairobi, it gives me time to reflect on the 3 month trip to Iten, Kenya as a whole. In between getting thrown from window to window and launched off the roof in jack-in-the-box fashion, I realise that I have definitely taken being able to train injury free for the whole trip for granted. The fact is I have just been enjoying it so much and relishing the opportunity to push myself to new limits. But that is what you do when you are happy, you go for it and do not look back. However, when I think back to what the previous trip between August and November last year was like due to shin problems and the worries I had before this one as a result of that, it really sinks in how grateful I am to be training injury free thanks to my physiotherapist, Ron Coutts. Blogs and interviews have been a lot less frequent this time around as a result of me actually doing what I was here to do – run. It is a sacrifice I have been more than happy to make and hope it pays off on the track this summer. Nevertheless, I have been lucky enough to conduct two of the best interviews of my journalism career, which more than made up for the lack of other articles. Spending time training and relaxing with Kiwi twins, Jake and Zane Robertson was a ‘Macced-out’ experience. After leaving home aged 16 in 2006, the pair are now on the cusp of the highest echelons of the sport. They are living proof that if you make sacrifices and follow your dreams to the bitter end then you will succeed. As I concluded in my article with them in VO2 Max Magazine earlier this month, these boys prove people wrong for a living. 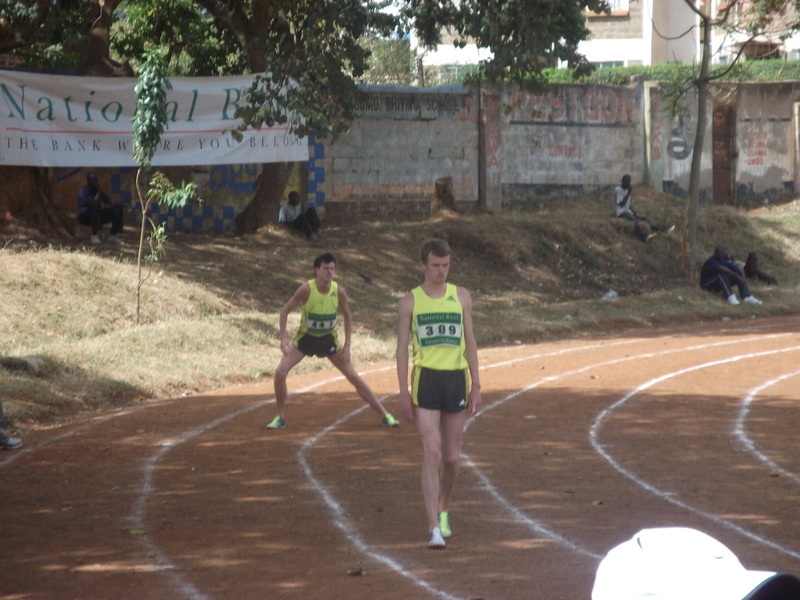 Jake and Zane Robertson, per 1500m final in Kitale, Kenya. Two days ago I was also incredibly lucky to interview the charming and charismatic double London Marathon champion, Mary Keitany for the second time in my career. What made this interview all the more special for me was that not only did it focus more on the personal side of her life than the running but she trusted me enough to ask any question I wanted despite one journalist not so long ago abusing this trust and writing unpleasing material. 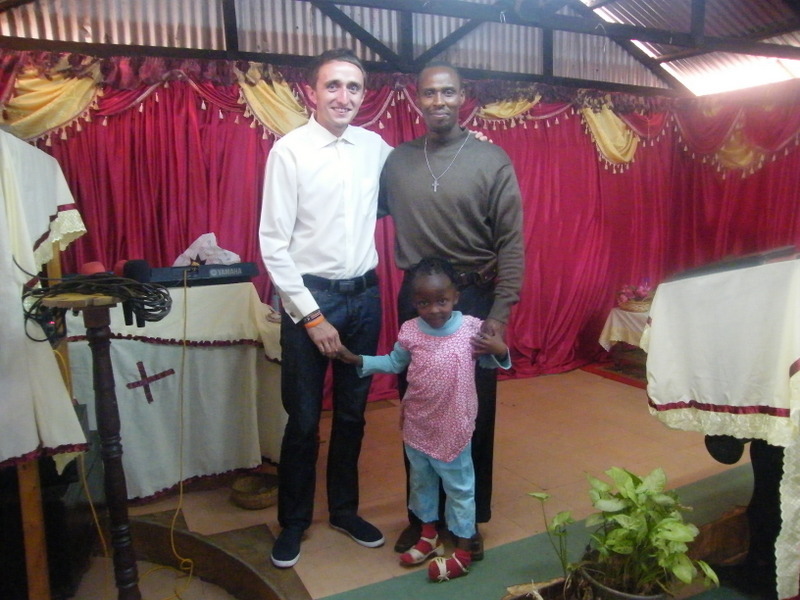 This was made possible largely thanks to Jeroen Deen, one of the world’s top physiotherapists who is based in Iten. Without Jeroen, I would not have achieved half the success I have done in the profession today. He and Mary will be friends of mine for life. There have been far too many people to name that have contributed to success and enjoyment of this trip. 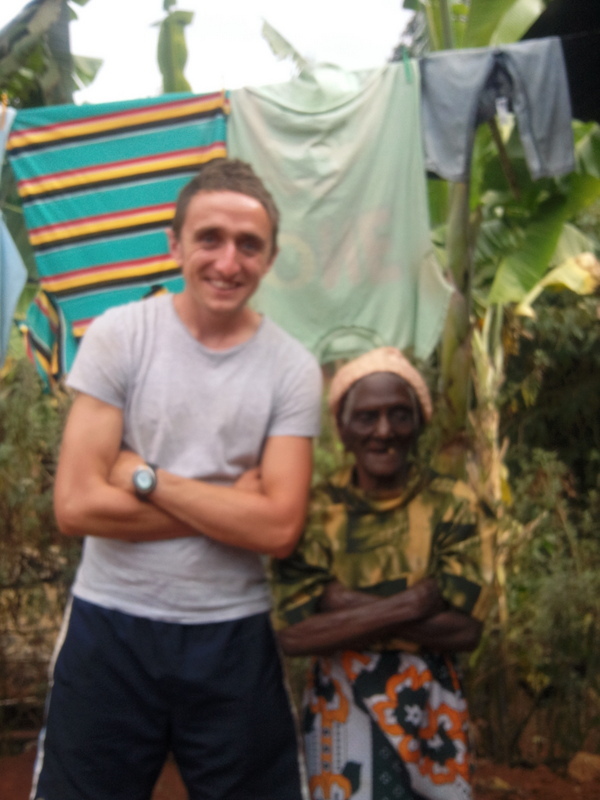 One friend in particular was instrumental in helping us get set up in Kenya last year. Both myself and Dan will miss his company and horrendous humour now that we are heading home. Both trips would not have been the same without him. 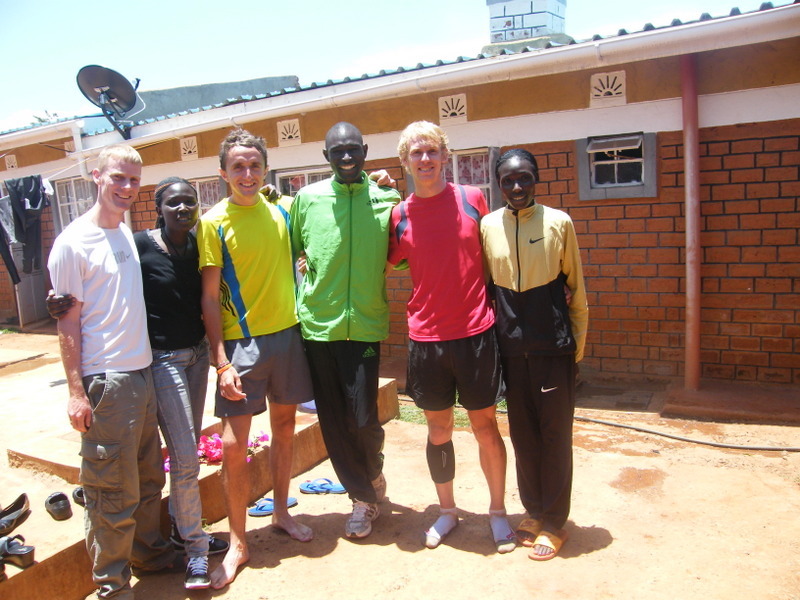 From left to right: Ciaran, Nelly Masai, myself, David Rudisha, Dan, Linet Masai. As an individual and as an athlete I feel very solid mentally and always have a positive mindset. Having had my fair share of injuries over the past few years I have often felt like I just needed the physical side of my running to catch up with the mental side. During the first few weeks of this trip I had a handful of sessions with Klemens Weigl, as part of a sports psychology programme and already I am feeling the benefits. The sessions have filled me with belief that I can take the mental aspect of my running to an even higher level and as a result I am certain my times on the track will improve. His techniques and thought-provoking advice really gives you the feeling that you have an extra weapon in your artillery. I feel empowered and I look forward to a long and successful partnership with Klemens, even if it is via Skype. My attitude has always been spot on thanks to my Dad’s inspirational advice over the years, but at home as a result of injuries and distractions which I won’t go into, my application and commitment has been lacking. Not now. Not ever again. This is the time I make sacrifices, work to fulfilling my potential and put smiles on the faces of those who support me. Dan has definitely had a big influence on my training and commitment over the past 3 months. Anything I achieve this year would not have been possible without Clockwork Mulhare’s 6am screams at me: “Myles are you running this morning or what?” Had he not been here I would probably still be in bed rather than writing this article or running anywhere near the times I feel I can this year. Gideon Gathimba is a Kenyan international athlete and world record holder (4x1500m relay) who won the mile race in Aberdeen for the opening of the Sports Village in 2009. He kindly invited me to live with his family and train with him for 5 days in the middle of my trip. It turned out to be the best 5 days of my life – filled with some incredible experiences. We met his 122 year old Great Grandmother who had never seen a white person before. As I entered through the gate at the bottom of her garden and she caught a glimpse of me, she started dancing around and shouting ‘mzungo, mzungo’ – a term that many Kenyans use to refer to white people. It was heart warming to see how delighted she was that a mzungo had come to visit her and also brought her some small gifts. It is an experience which I will take with me to the grave. Gideon plays an active role at his local church when he is not jet setting around the world as part of his life as an international athlete. By taking me along to Sunday service as his guest, we created a little bit of history. No white person had ever attended and again their welcoming warmth towards me was inspiring. Little did I know they were expecting me to get up on stage and give a mini speech. I through in as much Swahili as I could muster and thanked them for their kind welcome and greetings. It seemed to go down ok and I quickly migrated back towards my pew. In the final part of my trip we both competed in the Athletics Kenya track meeting in Thika. My first race on Kenyan soil and I was the only mzungo in the whole stadium. Racing in Kenya gives you a tougher than ever mentality that makes nerves in Scottish championship call rooms fade into insignificance. All eyes on were on me. Thankfully this inspired me and made me more determined. I knew I had been training hard and most importantly I knew that I had more ability than almost anyone in the stadium thought I had. Racing below race distance at 400 metres, I ran 0.5 seconds outside my lifetime best and placed 4th out of 8. I am told the announcer shouted on the microphone, halfway in to the race: “who is this mzungo and why is he beating our boys?” We hope to raise sponsorship to get Gideon into the Aberdeen Union Street Mile road race this year. Gideon taught me the importance of ‘shape’. ‘Shape’ to Kenyans means more than just being in good shape, but being in shape to compete against anyone on any given day. Previously I had been naive and in some ways lazy, thinking that 4 weeks of hard training with some weights and core mixed in would get me into prime shape. Right now I am the fittest I have ever been but what Gideon and Kenya to a certain extent too has taught me is that there is no reason why this is anywhere near my limit. It gives me huge confidence that if I could run 1.53.07 for 800 metres last season, off the back of 6 weeks hard training which had been preceded by months of messing around, then this year can be hugely improved. You can learn a lot from the Kenyan athletes. You can also learn how not to do things. So many train in groups that follow the lead/fastest runner’s programme. These are not suited to everyone and it is why many runs themselves into the ground and into an early retirement. The rain here is indeed far worse than home. Almost every road is un-run able at times when the skies decide to open. However, they need to toughen up and run in the rain sometimes, they think we are crazy when they see us running in only a small bit of rain. Another way that this can be looked at is that they do not feel the same pressure as we do at home to complete every session that is planned for them. It is flexible and they can easily miss one here or there. 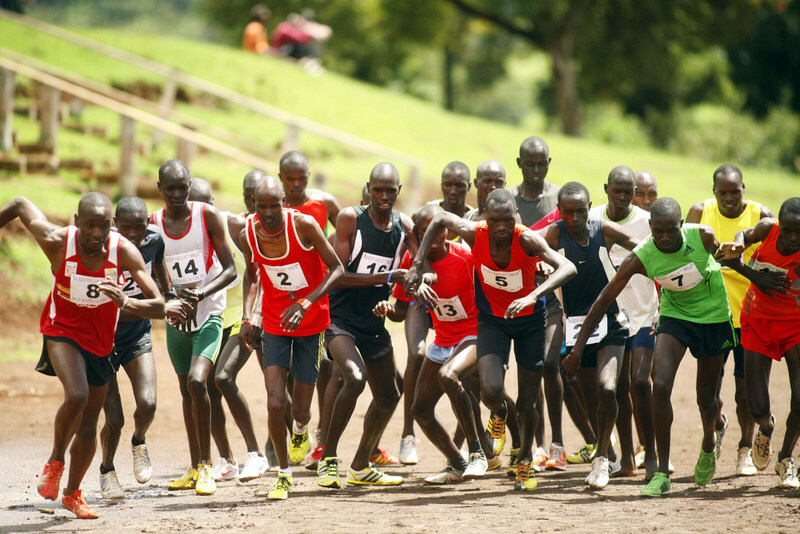 Thanks to BodyHelix I was able to organise a mile race at the Kamariny Stadium in Iten. It was a huge success and we hope to build on it greatly next year. With winning times of 4.14 for the men and 5.00 for the ladies, there was a high standard turn out which was great to see. It felt fantastic to give something back to a place which has given me so much. Things could not have gone any better for me this time around. I recorded my biggest ever weekly mileage week at 75 miles in week 10 of 12. Whilst my Dad urges me to not get too fixated on mileage like he did it is hard not to get excited but I remain careful and hold back when necessary. The track sessions I have done here give me real hope that I can run the times I want to this year. 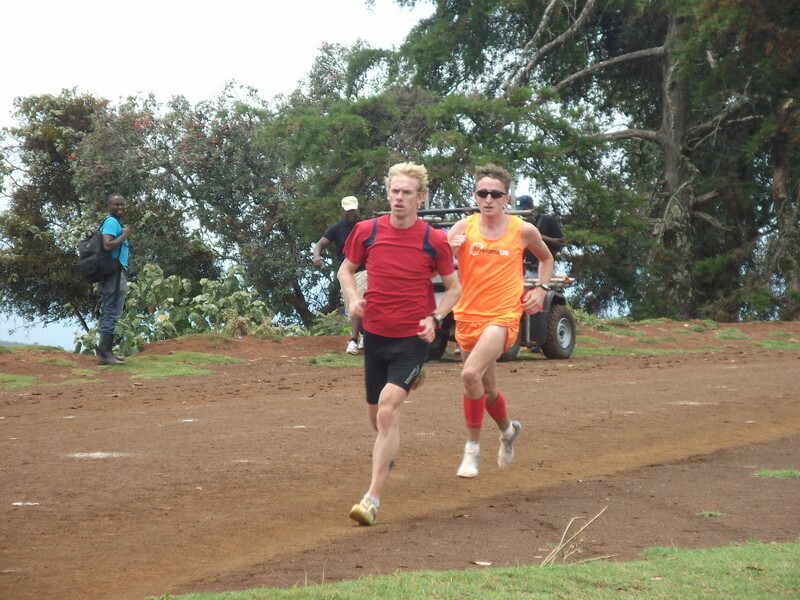 I was pleased to be hitting fast times in sessions on the slightly too long dirt track at 8000 feet above sea level. My last 2 weeks have included some quality sessions but reduced mileage and I am beginning to feel fresh as the races approach this weekend. I will line up to run the British Milers Club Grand Prix 800 metres on Saturday followed by a 1500m and 4x400m relay in Aberdeen on Sunday in my first outing as club captain. It will be fantastic to see my Mum again when she kindly collects me in Manchester and drives me back to sunny Scotland. It’s clear to see that I absolutely love it out here in Kenya and I could easily live here. However, it is a strange feeling to have that I still really, really want to come home. I am looking hugely forward to seeing family and friends again but the burning desire to be home again comes from wanting to produce the results that all this trip’s hard work was designed to do and that many people have supported me in doing so. 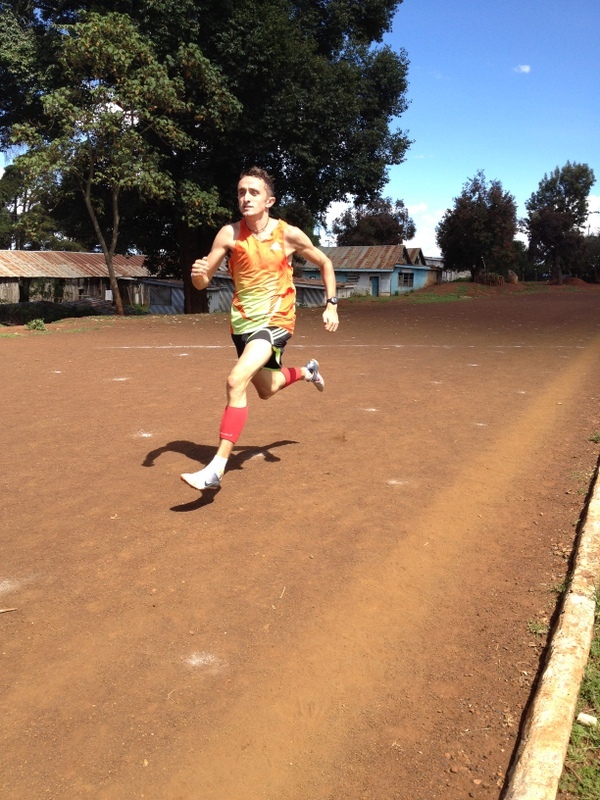 Yesterday I completed my final track session on Kenyan soil. It was only 5 x 200 metres and with a long-ish recovery to get the legs ticking over for Saturday’s race. I was determined to hit one of them in 24 seconds and the first 4 went by in 25, 25, 25 and 25. I said to myself before the last rep: “you will hit 24, now GO! !” Coming down the home straight I was thinking to myself ‘push as hard as you possibly can and leave it all on the track, you will not have another opportunity to rectify this if you don’t push hard enough now’. I crossed the line in 24.94 and as I put the brakes on I went up onto the bank of the track and was confronted with the most incredible view across the Great Rift Valley. It was one of the best moments in my running life. 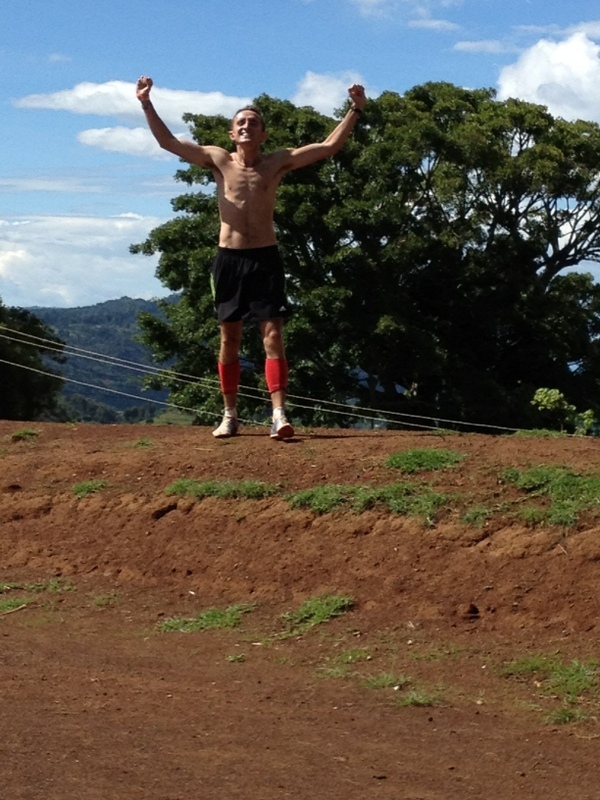 That is the magic of Iten, Kenya – Home of Champions. Elated at hitting the elusive 24 second rep!